Transitioning to a gluten free diet doesn’t have to be daunting, or complicated. While many of the foods you’ve been eating may contain gluten, there are so many more that are naturally gluten free. 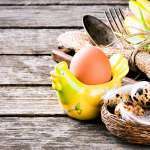 Though at first look, it may seem you are limited to the gluten free diet section of the supermarket, you’ll notice upon deeper investigation there is so much more available to you. We think a balance between gluten-free staples and a fresh diet is the easiest way to embrace your new lifestyle. Fruits, vegetables, meat, fish, eggs, beans, nuts and most dairy products in their whole state are naturally free, as are some grains! The healthiest way to move to a gluten free diet is simply to make these whole foods the bulk of your meals, and supplement with gluten free products where necessary. Instead of eating rolls as a side, try a rice dish or a baked potato instead. 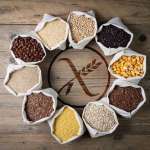 It’s important to note that even though some grains like rice are gluten free, you should still check the label to make sure that packaged foods have no gluten-containing ingredients, or that they weren’t processed on the same machinery as wheat. Many manufacturers are becoming more sensitive to those with Celiac, as well as those with gluten sensitivities, and so a lot packaging now clearly states whether the product is gluten free. Once you move to a gluten free diet, your first few trips to the supermarket will take a little longer as you read all those labels, but in time you will adjust and soon shopping will be just as easy as before! While it’s tempting to go to your grocery store’s gluten free section and replace all of your favorite foods with their gluten free counterparts, there are additional options. Keep in mind that just because something is labeled “gluten free,” it doesn’t necessarily mean it’s healthy. Become a label snob. Many processed gluten free products actually contain more sugar and less fiber than the gluten-containing versions. 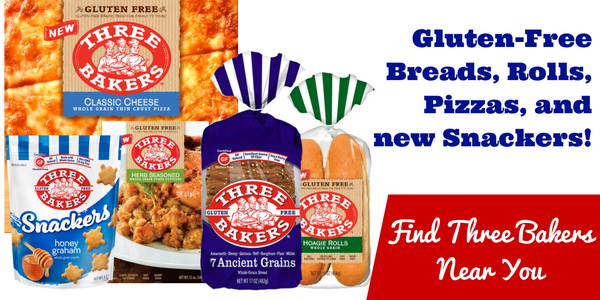 Here at Three Bakers, we’re mindful of baking products that are not only gluten free, but tasty and healthy, too! (Read more about Our Promise, here). At Three Bakers all of our products are baked with a commitment to your health as well as your taste buds. 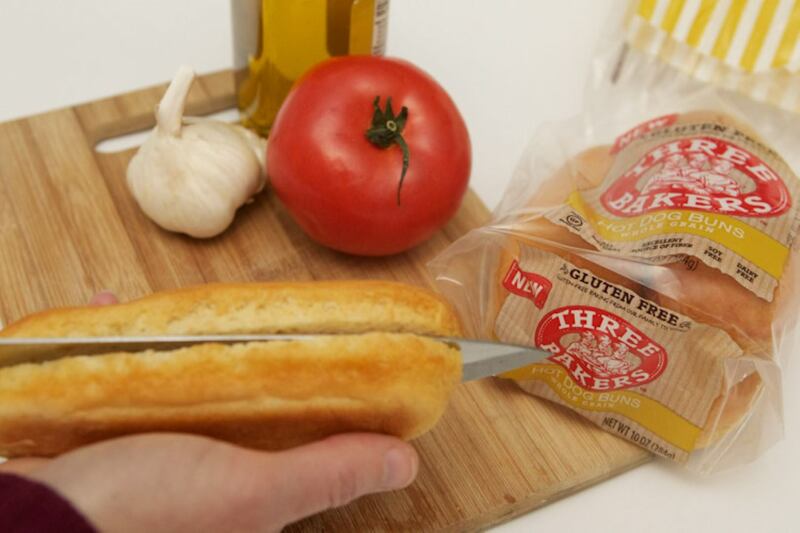 Three Bakers products are made with all natural ingredients and whole grains. Additionally, we use all non-GMO ingredients and keep our salt and sugars as low as possible.